One of the more unknown benefits of Botox is for gummy smile treatment. A gummy smile is the result of smiling that moves the upper lip enough to reveal the gums, more than one would like. In addition to lifting the upper lip, the lip also thins out, further revealing the gums. There are two typical treatments of a gummy smile. Injection of Botox into the muscles so that excursion, or movement, of the lip is lessened. The other option is reducing the height of the upper jaw. This is as invasive as it sounds. Reduction of the upper jaw requires the breaking and impaction (shortening) of the upper jaw, to reduce the show of the gums. 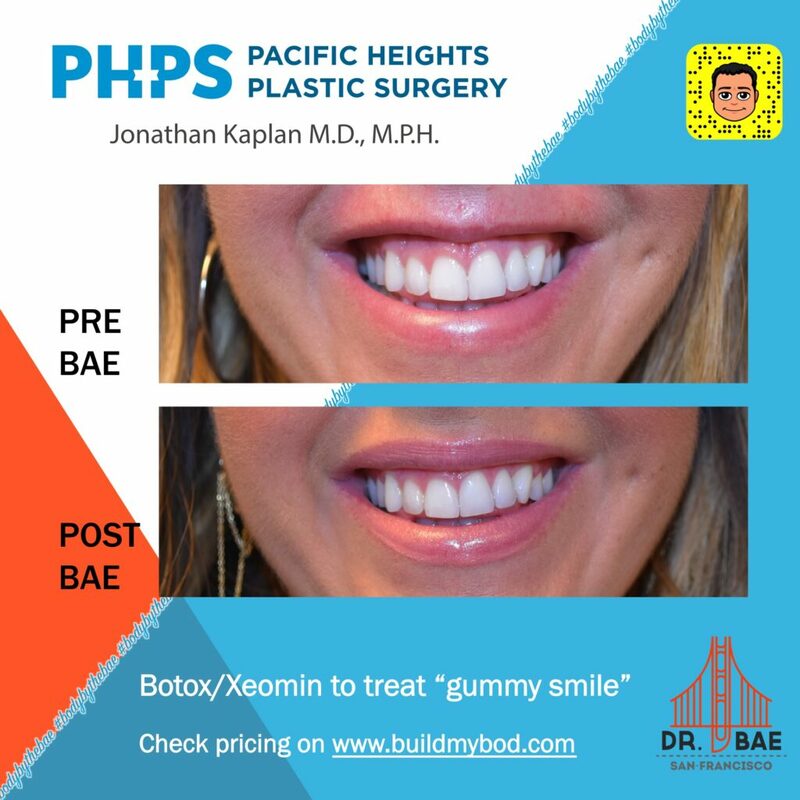 In the before and after below, you can see the results of the fairly non-invasive Botox injection for gummy smile treatment. Not only does it reduce the amount of gum show, it also makes the upper lip look fuller. As if the patient has received fillers, but they have not. To check pricing on the treatment of a gummy smile from a doctor near you, click here. This entry was posted in Procedures and tagged Botox, botox cost, Xeomin by Dr. Jonathan Kaplan. Bookmark the permalink.